Modular displays have a professional look that give your exhibit the high end look at a budget friendly price. These modular trade show booths have limitless design combinations. The modular display style is a popular choice for marketing teams that want to change the look and size of the display for different events. We make custom sizes and configurations and have standard sizes available for easy ordering and faster turn times. 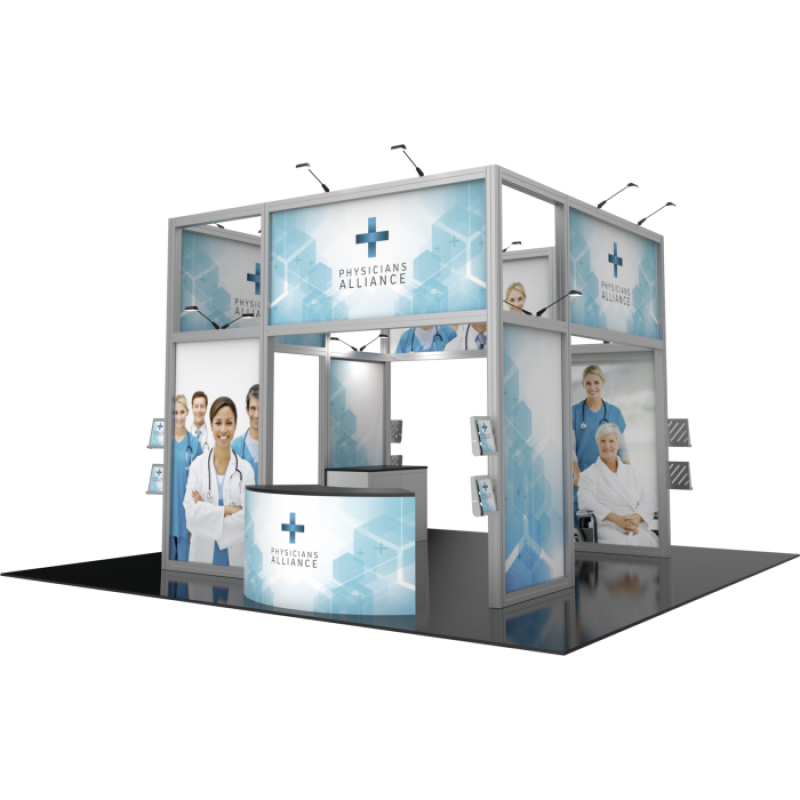 Our standard modular exhibits range from 3ft free standing product displays, to several sizes of backdrop displays to extra large island exhibits. You can add shelves, monitor mounts, tables, headers, wings, and additional booth structures. The SEG graphics are easy to setup and can be changed as often as needed for a whole new look and style for different conventions or trade show events. All of our modular display booths have stunning full color printed graphics that are printed in high resolution dye sublimation for deep vibrant colors. We print from your graphic designs and have graphic designers available to help you get a great advertising display. Modular exhibits have limitless design configurations, freshen your look every show.